According to the 2015 census, the city has a population of 454,486 people, making it the most populous local government unit in Laguna. It is the 5th densest city in the province with more than 2,600 people per square kilometer after San Pedro, Biñan, Cabuyao and Santa Rosa. Based on the overall rankings of the 2014 Cities and Municipalities Index, the city ranked 18th in the overall competitiveness (cities ranking) and 1st among cities in the Calabarzon region. 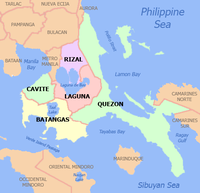 The city is known to be the Calabarzon's richest city, followed by Cabuyao City, because of its numerous factories according to the Region 4-A Calabarzon. “Jose Rizal is not just the pride of Calamba, he is the pride of the entire country as he was the Greatest Malay to have lived. His works, teachings and ideals have inspired and will continue to inspire us as we strive to live up to his ideals of nationalism and love of country. In the Buhayani Festival, we celebrate an ideal and an advocacy that through this festival, we can rekindle the ﬁre of patriotism and heroism in the hearts of every Filipino. Come to Calamba – retrace history’s footsteps, rediscover the richness and uniqueness of our heritage, ﬁre up our Filipino pride and be inspired to share and spread what you have experienced and be part of the force that will bring about a renewed love of country in every Filipino,” Mayor Chipeco challenged. 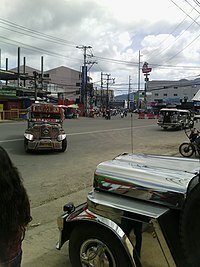 Main national highways includes the Maharlika Highway (Daang Maharlika) or National Highway, which passes through the city and curves toward Santo Tomas in Batangas, Calamba-Sta. 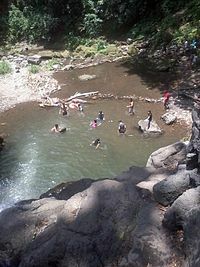 Cruz–Famy Road (also called "National Highway") links Calamba with Los Baños and Santa Cruz. 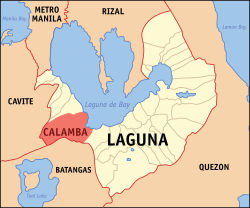 Proposed expressways includes Calamba–Los Baños Expressway, which spurs from SLEX Extension (Calamba Exit), traverses along Laguna de Bay and ends on a national highway at Bay, and Laguna Lakeshore Expressway Dike, an expressway and dike that will run on the coast of Laguna de Bay. The projects will cost an estimated ₱5.9 billion ($131.11 million) and ₱18.59 billion ($413 million). Communication concerns are managed by different agencies found in the city: postal affairs rests on the Philippine Postal Corp. with three operating offices located in Barangays. Canlubang, Mayapa and the main office located at the back of City Hall. Telecommunications as well as internet connections are under the three major telecom companies such as PLDT, Globe Telecom, Smart Communications and Sun Cellular for Digitel. Aside from these, print and radio services are also present, with Calambalita DZLN-AM and DZJV – a local radio station catering to the whole Calabarzon area. 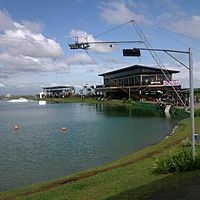 ^ "laguna.com.ph - This website is for sale! - bitcoin,ethereum Resources and Information". laguna.com.ph. Archived from the original on August 29, 2012. Retrieved March 3, 2014. ^ Placido, Darel (September 25, 2018). 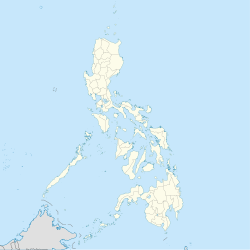 "Aklan split into two legislative districts, Calamba City becomes lone". ABS-CBN News. Retrieved September 25, 2018.